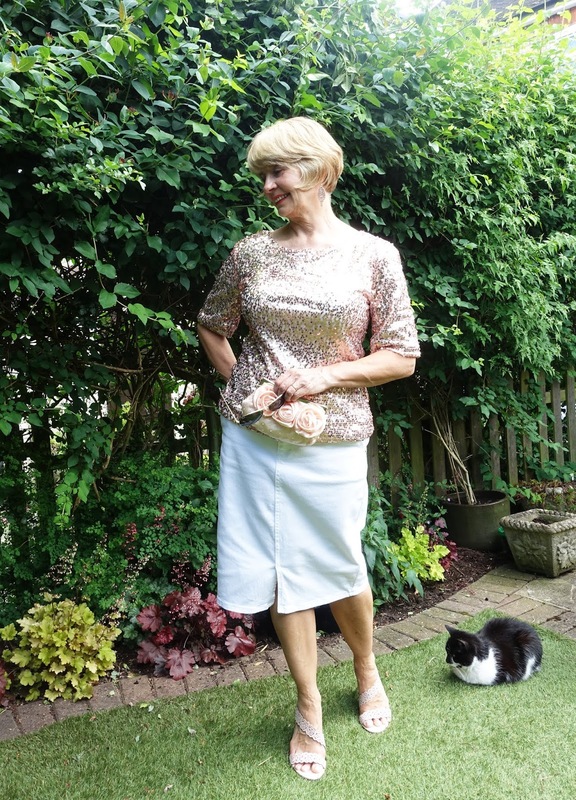 Sequins for summer | Is This Mutton? Molly is the perfect accessory for your outfit, Gail!! I love sequins, and am trying not to save them for only the fancy occasions lately!! I find it quite hard not to save them for evening but otherwise I'd probably never wear sequins! So comfy to wear yet such a glam look. And the gorgeous statement shoes are the icing. Hugs to you and Molly, x. This whole outfit looks stunning on you Gail. Love the shoes! Aw thanks Penny - great to see you back! Red relaxer was born for social media! Molly was also a rescue cat - she's 14 and still brings in the occasional mouse. Haha, Molly is being cattish! Lovely top! 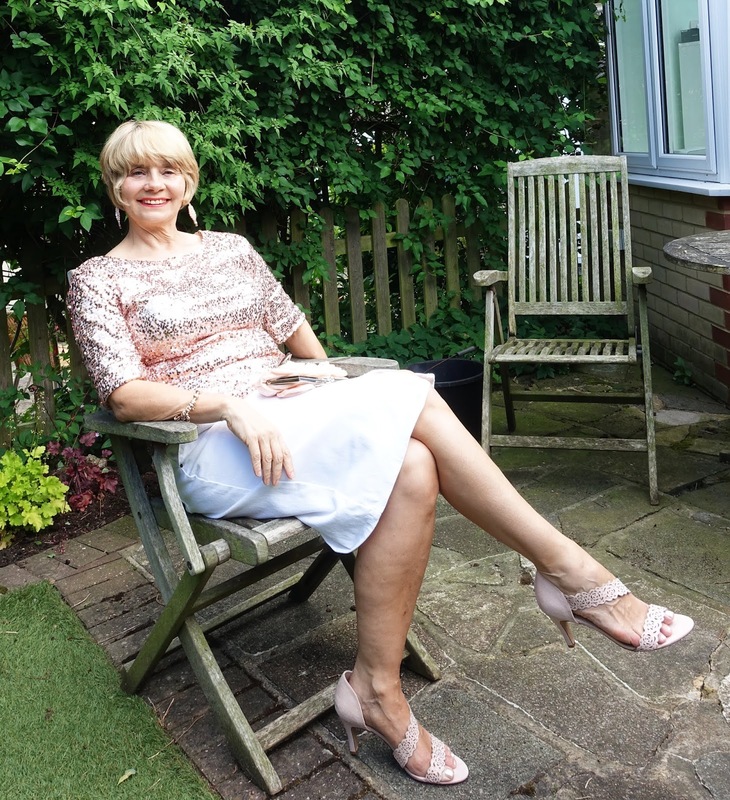 Sequins work any season now and I love this top and the shoes are gorgeous. You look stunning in this sequin outfit. Cute cat btw. Gimme all the sequins and glitter! I love being sparkly. Your top is such a pretty color and the sequins just make it better. Love that little clutch, too. And, by golly, I have some very similar shoes that I need to wear. Hope I will look half as lovely as you!